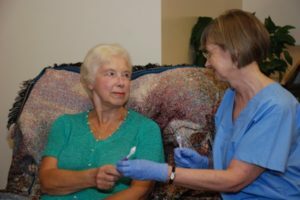 If you are a Continuing Care Assistant (CCA), Personal Care Worker (PCW), Care Aide (CA), Licensed Practical Nurse (LPN) or Registered Nurses (RN), you are among those who may be directly involved with assisting residents and clients with daily mouth care. Brushing Up resources provide practical tips, background information and strategies to support oral health. and Information Sheets span a broad range of topics. Many Care Providers have found that resources focused on dementia, whether it is our Dementia information sheet or Considerations for Dementia video to be especially helpful.